In mid-2017, Talen-X and Skydel engineers began to conceptualize a GNSS simulation system emanating from their BroadSim platform for the purpose of fortifying anechoic chambers. Over the next six months, Talen-X and Skydel designed, built, tested and delivered an anechoic chamber simulator capable of simultaneously generating multi-GNSS jamming and spoofing signals. BroadSim Anechoic can be used to support a wide variety of operational tests. BroadSim Anechoic is used to test GNSS spoofing and jamming in an anechoic chamber. The BroadSim Controller is at the heart of the system running Skydel’s SDX software suite. Using SDX, users can create advanced scenarios that include both jamming and spoofing signals. The 16 software-defined radios (SDRs) each with dual transmit ports (32 total outputs) can be configured to output GNSS or jamming signals, giving users flexibility to run test after test. The transmit chains include the hardware to power 16 dual-frequency antennas. The included GNSS receivers allow users to monitor the environment inside the chamber, providing confidence that tests are running correctly. The BroadSim Anechoic can also be used in controlled radiation pattern antenna (CRPA) testing. Many ground-, airborne- and water-based platforms are transitioning to using CRPAs because of their added jamming resiliency and significant tracking advantages in degraded environments. Validation and real-world testing is critical to understanding and characterizing the mitigation these antennas can add in highly degraded areas. By using BroadSim Anechoic, users have the ability to create representative jammers with real-world characteristics (modulations, frequencies, angles, power levels, etc). 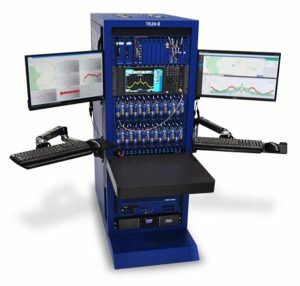 BroadSim Anechoic takes advantage of state-of-the-art software defined radios (SDR) for RF up-converting while signal IQ generation is done using high performance commercial-off-the-shelf (COTS) graphics-processing units (GPU). 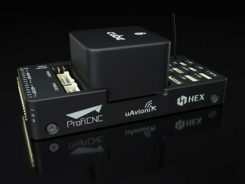 The ability to generate the IQ data in software (using the GPU) as opposed to hardware (FPGA) significantly reduces the cost while maximizing capability, value, and time to market. 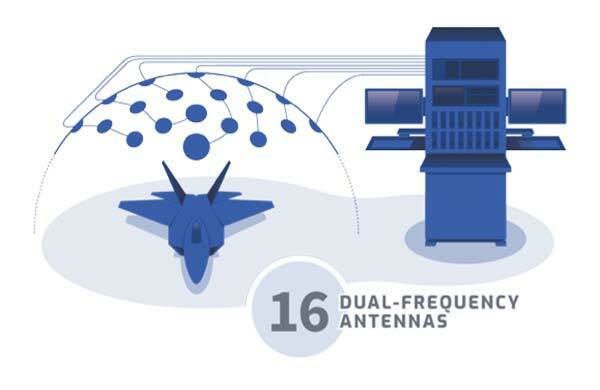 BroadSim Anechoic has the capability of powering up to 16-dual frequency antennas requiring 32 RF transmit outputs. The architecture used for this system required the ability to receive signals in a manner such that precise processing could be done on the receive signal. The SDR selected for this application has one receiver channel for every transmit channel giving BroadSim Anechoic 32 RF receive ports. 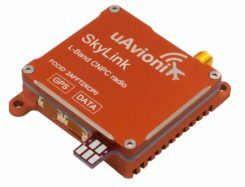 Innovative software techniques have been developed enabling the accurate time and power calibration for each antenna transmit chain using the SDR receive ports.